Brown sausage in skillet over medium high heat. Drain fat from skillet and stir in tomato sauce. Set mixture aside. 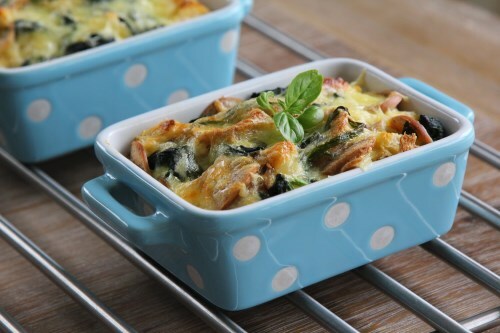 In a large bowl, combine the spinach, cottage cheese, Parmesan cheese and egg. Mix well and spread mixture in the bottom of a 9×13 inch baking dish. Spoon sausage mixture over spinach mixture and top with mozzarella cheese.